We have exactly 128 more days until college football kickoffs again. I know, I know, it feels like an eternity. Believe me; I am going through the same withdrawals as you guys. Headaches, strange ticks and I might have setup our tailgate tent in the backyard this weekend, just so I could sit underneath it. Don’t judge! Go camping. Tailgating and camping encompasses a lot of the same aspects. Get your fantasy football teams in order. Experiment with new tailgate recipes and grilling techniques. 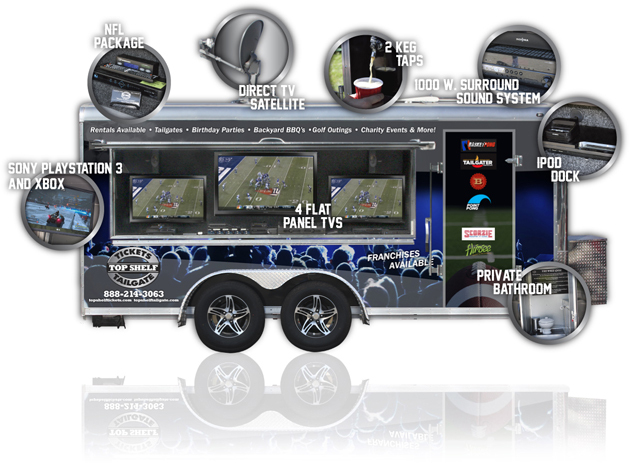 ooh a draft party is a great idea and i think all the men in my family would absolutely love the trailer idea!